Claudio M. Radaelli was born in Milan (1960). He has a double degree in Economics and Social Sciences and a PhD in political science. Claudio M. Radaelli is Professor of Public Policy. 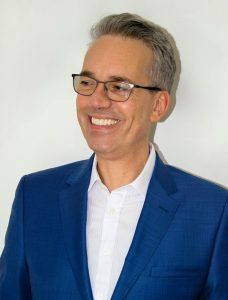 Prior to joining UCL, Claudio was Professor of Political Science and Director of the Centre for European Governance at the University of Exeter (2004-2018) and Professor of Public Policy at the University of Bradford, where he started his academic career. In 2014 he was full-time IdEx chair at the Centre Emile Durkheim at the University of Bordeaux, and before that part-time Professor at the University of Agder (Kristiansand) and Sciences-Po Paris. Claudio was also honorary Adjunct Professor in Political Science at the University of Copenhagen for four years and part-time Professor the European University Institute. Claudio is visiting Professor at the College of Europe in Bruges. A comparative policy analyst, Claudio has published 80 articles and written or edited 18 books and special issues of academic journals. His main fields of specialization include the theory of policy learning, regulatory accountability, impact assessment, Europeanization, and the connection between science and nonviolence. Claudio was awarded two advanced grants by the European Research Council: Analysis of Learning in Regulatory Governance (Alreg, 2009-2014) and Procedural Tools for Effective Governance (Protego, 2016-2020). In the context of this conference, Claudio is interested in exploring how scientists working for or in government or trying to influence public policy can benefit from the findings of policy analysis and the theory of decisions.